It's here! One of today's most powerful marketing tools! Sell, sell, sell, and keep selling! A good communication is of course one of the key factors contributing to the success of a business. The same case applies to online businesses. Further more, a successful communication is in fact quite simple: never leave your customer alone, for instance, let them face-to-face with the products they just bought from you. A friendly after-sales support or follow up email may not only save you a return, but surprisingly it opens door to an upgrade or an up-sale. On the other hand, keeping in touch with your prospective clients who haven’t made a purchase yet, but expressed their interest in your product or service by giving their email address is a great opportunity to make a sale. Contacting customers one by one, while a very effective sales tactic, requires exceptional skills and a lot of valuable time of a qualified salesperson. Sending a newsletter to your subscribers is a fast and simple way to automate contacts with your customers. Our Email Newsletter Marketing solution is a very cost efficient internet marketing solution and a powerful communication tool that will enable you to continuously keep your customers and prospects updated with the latest happenings of your products and services, such as new product release, special offers, and so on. Our design team will create the eNewsletter template look and feel of your choice which enable you to create your very own customised newsletters that suit your business/corporate identity. Our mailing system has a built-in mailing list with customer details organisation which enables you to record the email address and details of your each customers and prospects. 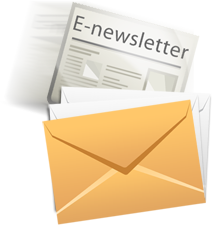 You can send newsletters easily in just a few mouse clicks. We also offer custom designed HTML eNewsletter template to suit a variety of needs such as invitations to corporate events or stylish responders to online queries. With price starting from only $15/month (inc. GST) for a hosted solution, you can have the freedom to send your newsletter regularly to your customers and prospects. be using to create your newsletters. We will then design a template that suits your products, services or your business image. that will go on to your newsletter.